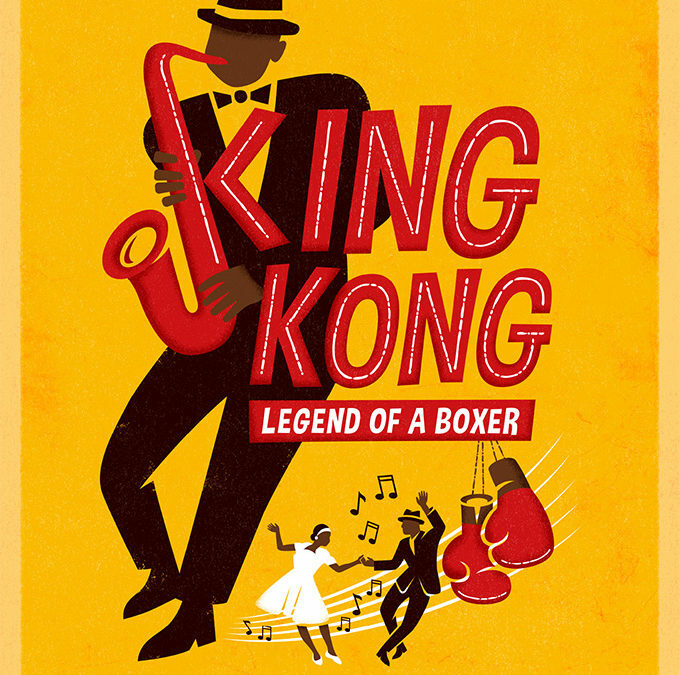 Roll out the red carpet, dust off your old soft shoes and be captivated by the Kings and Queens of Sophiatown and the famous jazz club ‘The Back of the Moon.’ The Iconic South African Musical King Kong, Legend of a Boxer has finally been revived by Eric Abrahams and The Fugard theatre after nearly 20 years of negotiating the rights! 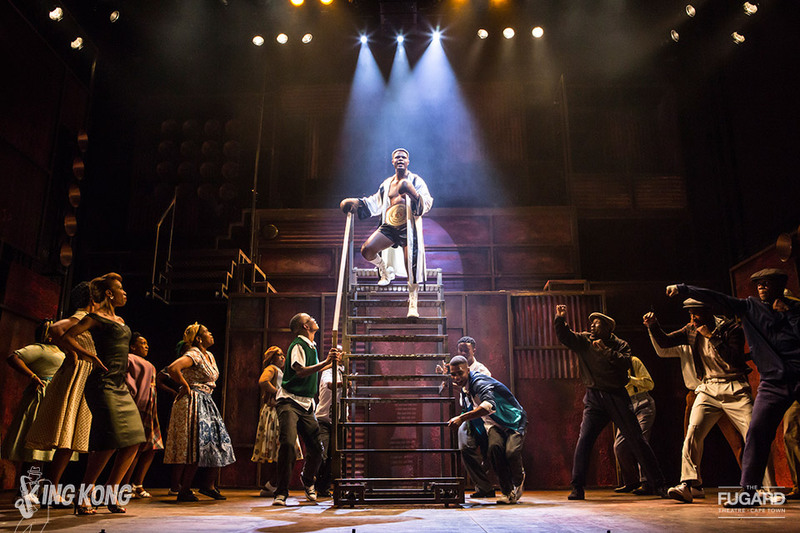 The original musical opened in 1959 in Johannesburg and launched the careers of Jazz Greats, Miriam Makeba and multi award winning musician Hugh Masekela. 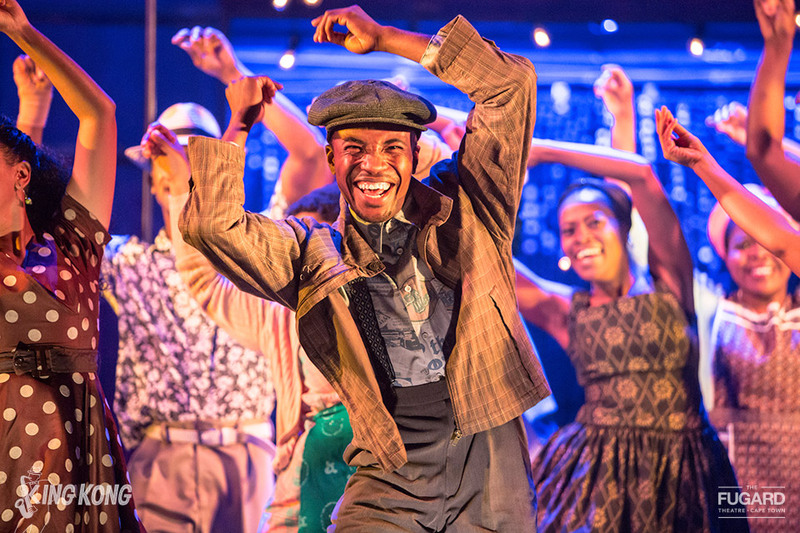 This new revival is a visual marvel, a musical splendor and a captivating journey into the high’s and lows of this true life drama of a South African Icon and the colorful characters that embellished this tragic hero’s tale of love, honour and loss. The staging is beautiful and the choreography so impressive that it could sit comfortably amongst some of the best pieces seen on Broadway and the West End today! Andile Gumbi cuts a powerful and statuesque figure as Kong himself, but it’s his tender, honest vocal impressions that really invoke an enigmatic man and hero to life . 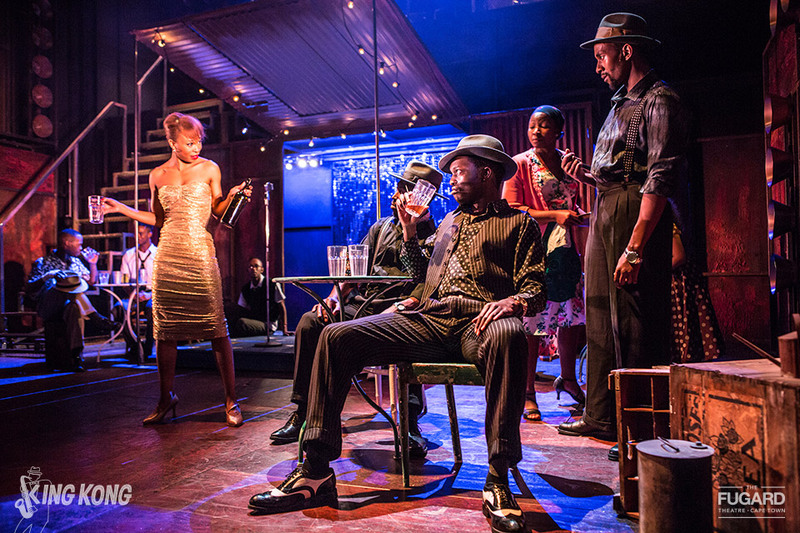 His gorgeous co star Nondumiso Tembe is utterly ravishing as Joyce the shebeen queen. Tembe’s exploration of this seductive songstress is captivating and bold, a monumental moment in firmly rooting this incredible talent amongst the best leading ladies of her time. The supporting cast is riotous with an energy that is draws you beyond the bright footlights and into a colorful South African landscape of honest and diverse characters. Sne Dladla is a delight as Pop, Lerato Mvelase sparkles as the innocent Petal, Tshamano Sebe is a loveable and mischievous Jack whilst Ntambo Rapatla’s maternal portrayal of Miriam is fervent and another example of great, masterful acting. It’s exciting, fun, bold, and has all the exuberance one wants from a big musical that really packs a punch with real engaging and creative clout! You’ll be knocked out! 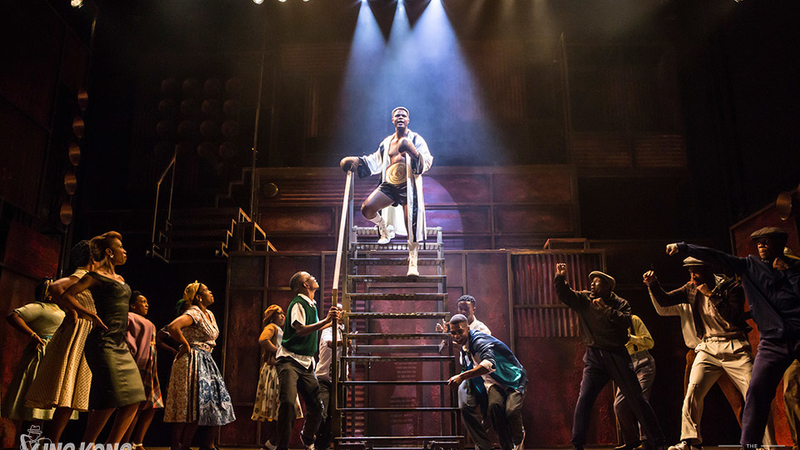 King Kong runs until the 8th October on the Nelson Mandela Stage at the Joburg Theatre.